The Center for Energy Education (C4EE) is a 501(c)3 nonprofit corporation and a center for renewable energy research, education, and workforce development for Halifax County and Eastern North Carolina. The C4EE provides a place to raise awareness of renewable energy and its importance locally, regionally, and globally. 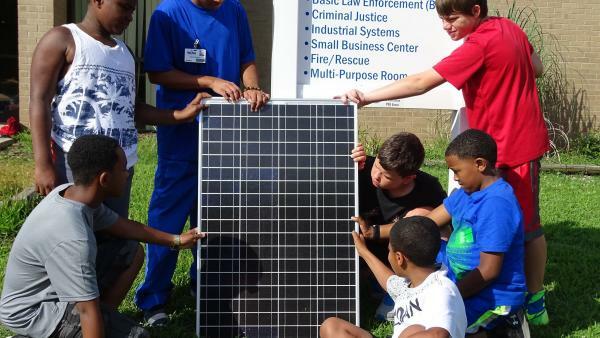 The C4EE is a hub for the renewable energy industry, a hands-on training ground for solar installations, a destination for students and families to learn about renewable energy resources, and an education and training facility to provide the knowledge and skills needed to pursue a career in the growing renewable energy industry.